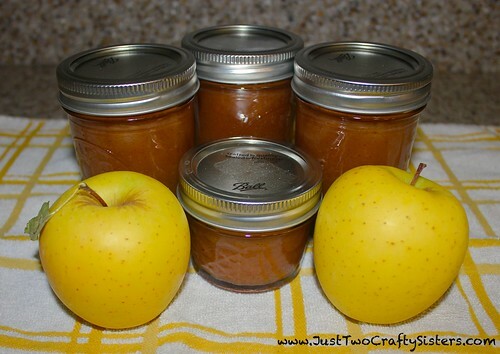 Have you ever walked into the kitchen while someone is cooking apple butter or applesauce? It is heavenly! 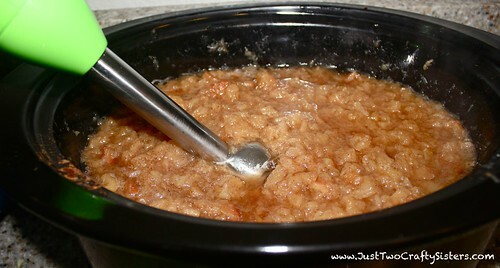 When my sister brought me a big box of apples from the family farm, I knew right away that I wanted to make a simple apple butter in my crockpot. 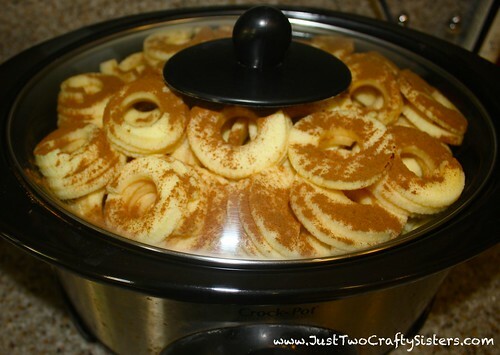 Apples are naturally sweet, so all you will need for this recipe is a lot of apples, cinnamon and some water. Seriously, it is that simple. 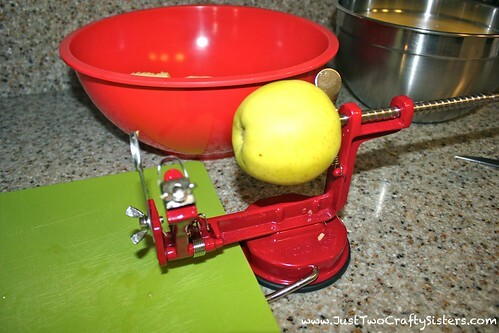 Pealing and cutting apples is made easy of you own an apple pealer. They are really affordable, this one that I use, the VICTORIO Apple Pealer , was under $20 and well worth it! It peals, cores and spiral slices the apples in one quick twist of the handle. 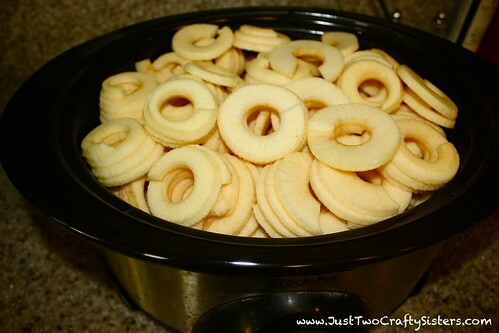 Once your apples are all prepared, toss them into a crockpot. Next add a 1/4 cup of water and sprinkle with a generous covering of cinnamon. Turn the crockpot on low and cook for 2 hours. 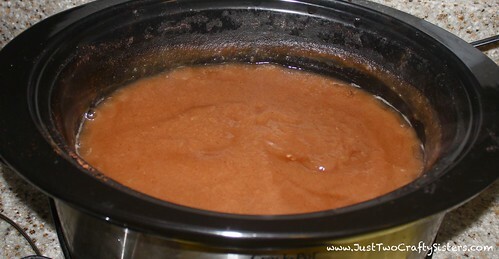 Grab your hand blender, (I use my Cuisinart Immersion Hand Blender ) and puree the apples. What you have now is delicious applesauce. Cover and continue cooking for another 6 hours or until reduced to about half the volume in the crockpot. You can enjoy immediately or can to enjoy later. I opted to can our since it made enough slowly eat over toast throughout the year. An easy way to love the taste of fall!